“War began today. Japanese dive-bombers are bombing us.” –Pearl Harbor Survivor Bill Kennedy. Japan’s Dec. 7, 1941, attack on Pearl Harbor and six other military bases on the Hawaiian island of Oahu precipitated America’s entry into World War II, a global conflict. Pearl Harbor endures as a symbol of American resilience and resolve, and the anniversary of the attack on Pearl Harbor fosters reflection, remembrance and understanding. It would thrust America into World War II, changing Hawaii and America forever and continues to define their place in the world. The events of that date triggered our resolve as a nation, our can-do attitude and resourcefulness and unmatched commitment to the defense of freedom. Understanding past events and their consequences can inspire reverence for an emotional commitment to peaceful solutions to conflict. How do we help future generations chart their way toward peace and prosperity? We can learn from the past. 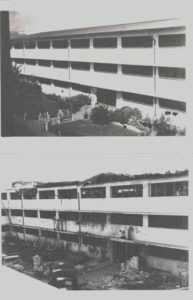 Photo contributed by Bill Kennedy of the barracks, before and after the attack. A key focus of the commemoration of the 76th anniversary of the attack on Pearl Harbor will be a brighter future in our relationship with Japan and the celebrating of 72 years of peace between us. In Owego, the American flags at the Tioga County Veterans Memorial are flown at half-staff from sunrise to sunset to honor those who died in the attack on Pearl Harbor. Two waves of bombers, torpedoes and strafing from 353 Japanese aircraft on that early Sunday morning killed 2,403 Americans. Pearl Harbor Remembrance Day will return to the Delmar Dale Sibley Memorial Dining Room at the Glenn A. Warner Post 1371 Veterans of Foreign Wars for the 12:55 p.m. Thursday, Dec. 7 commemoration – the exact time as the attack. 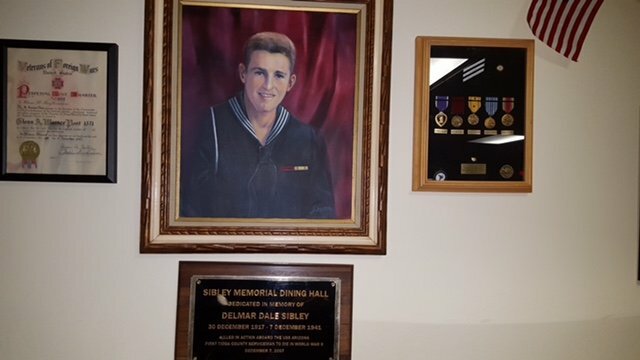 The first Pearl Harbor remembrance in the VFW was its dedication ceremony on Friday, Dec. 7, 2007, to Owego and Tioga County’s first WWII casualty. The September 2011 flood severely damaged the dining area. Sibley’s wall portrait was found floating in the floodwater. His shadow box of medals has been restored. To hear Bill share his memories, WWII veterans requested an inside warm environment and comfortable chairs. They say they are getting older. 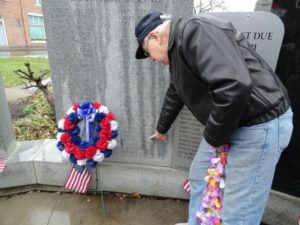 It is too hard for them to stand outside at the Tioga County Veterans Memorial in the December cold. VFW Post 1371 Commander Lawrence Osokio invites families of the three other deceased Tioga County Pearl Harbor Survivors, all era Gold Star families, all era veterans – especially WWII, U.S. Navy personnel at Lockheed Martin-Owego, and anyone who recalls Dec. 7 to attend and bring photos, documents and personal reminiscences to share. 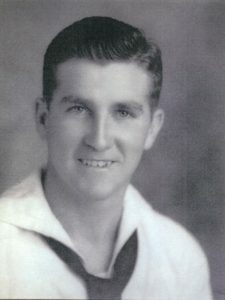 Twenty-three-year-old Navy seaman Sibley was aboard the USS Arizona during the Japanese attack on Pearl Harbor on Dec. 7, 1941. After a bomb detonated in a powder magazine, the battleship exploded violently and sank, with the loss of 1,117 officers and crewmen. Unlike many of the other ships sunk or damaged that day, the force of the magazine explosion irreparably damaged the USS Arizona. The wreck still lies at the bottom of Pearl Harbor and the USS Arizona Memorial, dedicated on May 30, 1962 to all those who died during the attack, straddles the ship’s hull. 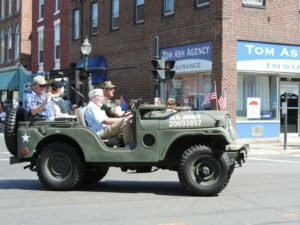 Three other Tioga County servicemen, now deceased, survived the attack. Marine Lester Dunham of Owego was on guard duty patrolling the docks at Pearl Harbor. Later the combat Marine fought gallantly in the Guadalcanal campaign. He escaped from a foxhole just before it blew up. Army Sergeant Donald Stocks of Owego was at Hickam Field. He was a cook. He left his kitchen and grabbed a rifle to fight. Army Sergeant Richard Hopkins of Berkshire enlisted on April 2, 1940, and arrived in Honolulu on June 17, 1940. 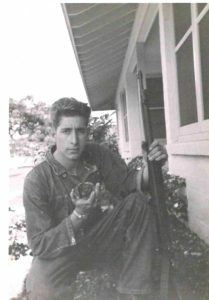 He was assigned to the 24th Infantry Division at Schofield Barracks at the time of the attack. Hopkins also spent 21 days on the front lines at Guadalcanal against the Japanese who “would not surrender.” Hopkins received the Bronze Star Medal for meritorious service. 1 Comment on "Pearl Harbor Remembrance Day"
Delmar was fondly remembered by his cousin, Mary Sibley Prince. She spoke of times together growing up in Owego.